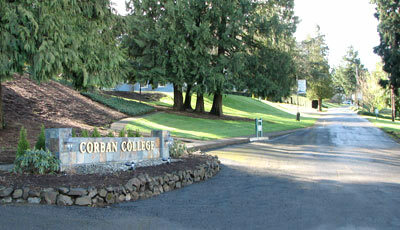 The campus main drive, Western Way, is named after the University's historical roots as Western Baptist College. It enters and exits on the lower campus and provides access to the Younger Center, the Pavilion, Schimmel Hall, the west side of the Academic Center, the Psalm Center and Campus Care. This road is not to be confused with Warrior Drive, located just north of Western Way, which winds through the upper campus past the Sportsplex, Prewitt/Van Gilder Residence Hall, Balyo Residence Hall, Davidson Residence Hall, the C.E. Jeffers Sports Center, the Oak Grove Amphitheater and the upper levels of the Academic Center.